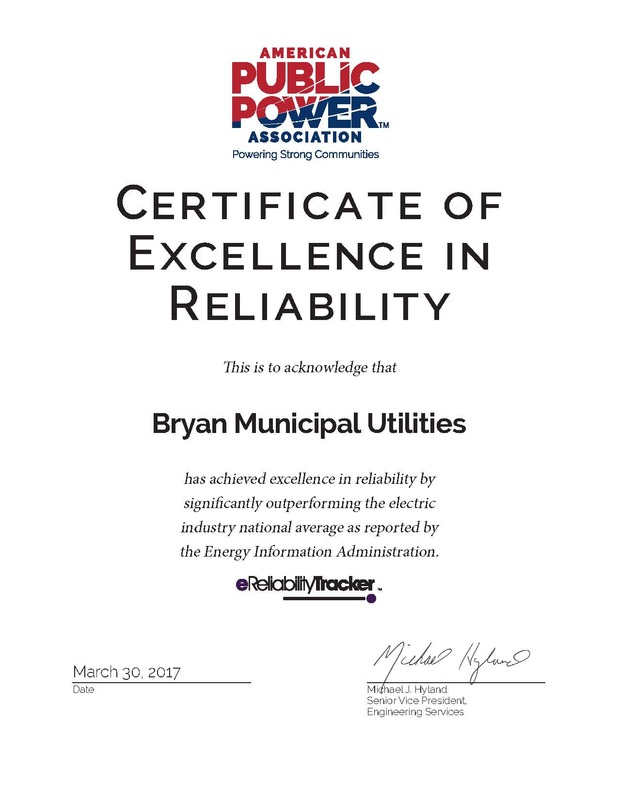 Bryan Municipal Utilities has received national recognition for achieving exceptional electric reliability in 2016. 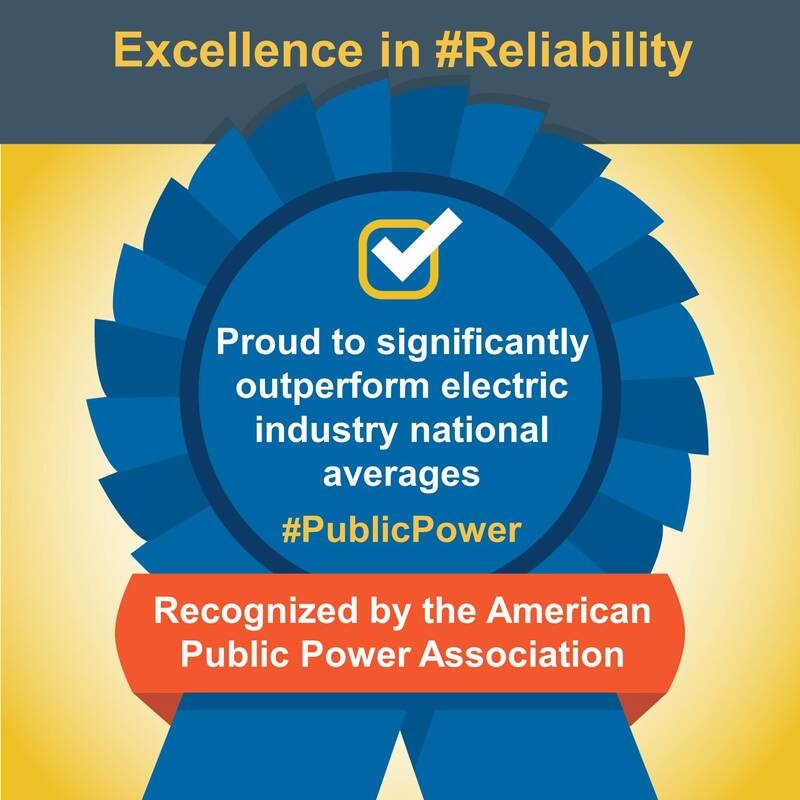 The recognition comes from the American Public Power Association (www.PublicPower.org), a trade group that represents more than 2,000 not-for-profit, community-owned electric utilities. The Association helps members track outage and restoration data through its subscription-based eReliability Tracker service and then compares the data to national statistics tracked by the U.S. Energy Information Administration for all types of electric utilities. said the Association’s Senior Vice President of Engineering Services, Michael Hyland. 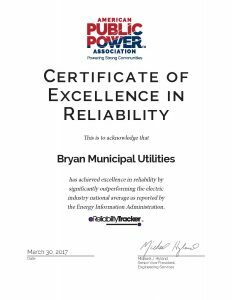 Public power has a strong track record of reliability, said Hyland. Nationwide, the average public power customer has their lights out for less than half the time, compared to other types of utilities. “We are proud to receive this recognition. 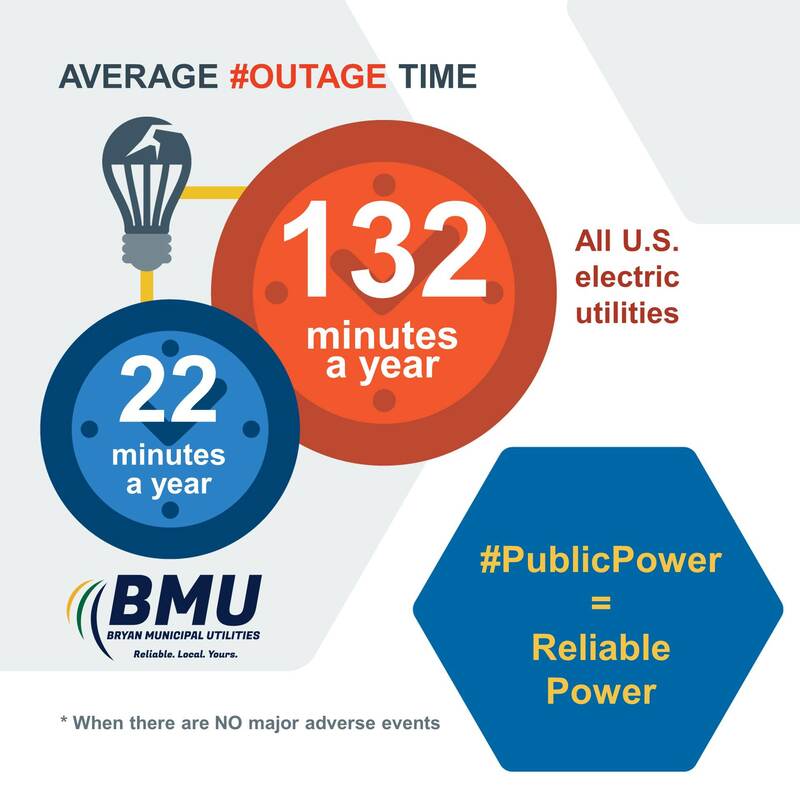 It is a testament to the hard work of all our staff to ensure that the lights stay on for all our customers,” said Al Sullivan, Electric Superintendent at BMU.